The 2.0 director revealed that he felt amazed when he read about the heroism of KR Ramaswamy, an activist from Chennai and a founding member of Tamil Nadu's Home Guard. 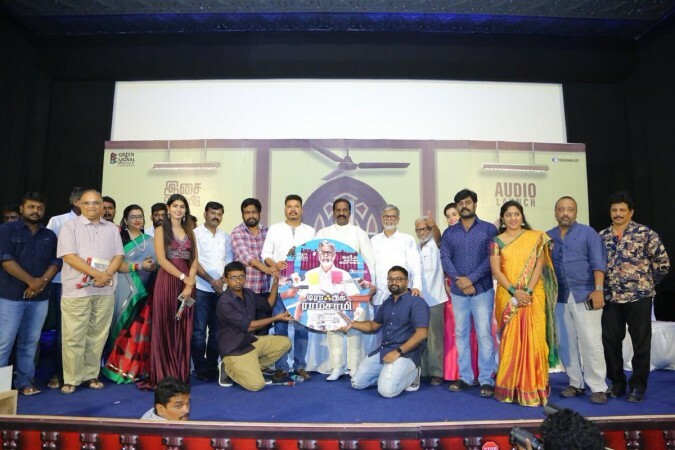 Filmmaker Shankar was a special guest at the audio launch of upcoming Tamil movie Traffic Ramaswamy, a biopic on social activist KR Ramaswamy from Chennai. The 2.0 director revealed an interesting piece of information when he claimed that he had planned to do the movie on the activist with iconic actor Rajinikanth in the lead. Shankar said that Traffic Ramasamy is an inspiring person who stands up to fight against those who don't follow the laws. He said, "I felt amazed whenever I read about his heroism in newspapers. I used to give an applause for his acts inside me." I wanted to make a movie on such an inspiring character. I felt like he is an 'Indian' without a knife and an aged 'Ambi' in Anniyan. The idea of doing a film was always there back in the mind and even considered casting Rajini sir, which might suit him considering his age. Shankar revealed that he was quite upset after reading about the announcement of the film on Traffic Ramaswamy. The director claims, "But I was happy because SAC (SA Chandrasekhar) sir was playing the lead. He is an apt actor as I know about his anguish against the miscreants in the society." The filmmaker ended on the note that he is keen to watch the Tamil film. On his turn, SA Chandrasekhar thanked Shankar for attending the audio launch. "I just sent an SMS to him saying that the team will be honoured to have him as the guest. And he is the first person to be here. I thank him for giving his precious time to attend the event. I have high regards for his achievements," he said. KR Ramaswamy is an 84-year-old social activist, who got the prefix 'Traffic' for volunteering as a traffic policeman, highlighting the issues pertaining to traffic. The movie is a directorial debut for newcomer Vicky and stars a host of actors, including Ambika, RK Suresh, Manobala, Chetan, Imman Annachi, Livingston, Charles Vinoth and Dharani. Seeman, Khushboo, Vijay Anthony, Sundar and Kasturi have done special appearances in Traffic Ramaswamy.